One would often mistake Argentinean winger Claudio Caniggia for a rock star rather than a soccer player due to his luscious locks, laid back personality and good looks. Caniggia was a bona fide soccer rebel and one of the fastest players in the world, hence the nick Argentina’s ‘son of the wind’ and ‘El Pajaro’ which translates to the bird. These nick names were bestowed on him due to the powerful speed and velocity of his game style. Despite his laid back attitude Caniggia went through his fair share of trauma during his professional career which included a 13 month worldwide ban due to his cocaine use and the untimely and tragic suicide of his mother which led Caniggia to shun soccer for a complete year. His presence at matches often led to many soccer fans buying the Caniggia hair piece as a salute to their soccer hero. The blond flyer put his athletic abilities to full use on the soccer pitch often leaving defenders trailing in his wake. Claudio Paul Caniggia was born in 1967 in Buenos Aires, Argentina. A teenaged Caniggia was taught the basics of soccer at the River Plate youth academy of soccer. 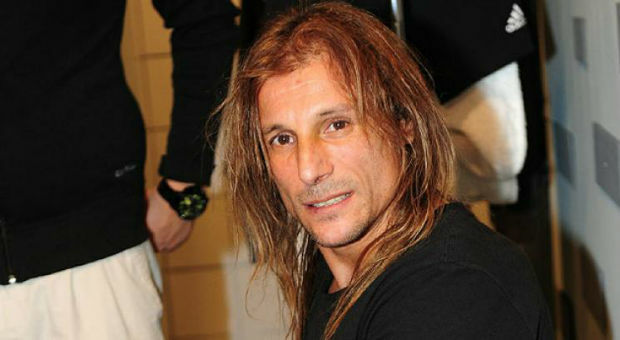 Within a year of his move Caniggia became an important asset to his team by winning the league, Intercontinental Cup, the Copa Libertadores and the Copa Interamericana. Caniggia started his professional career at Boca along with other Argentinean players like Maradona and Antonio Rattan. Apart from Boca Caniggia found success playing for a number of clubs including the Hellas Verona, Atalanta, AS Roma to name a few. However despite making a name for himself during his club performances it was the World Cups which truly made Caniggia into a soccer legend. He became well known for his quick speed, physical physique and good techniques on the soccer field. Caniggia played for his native Argentina national team for a magnificent 50 times appearing in three World Cups. The 1990 FIFA World Cup cemented his status as a hero when he scored the defining goal which took Argentina into the last eight against Brazil. Back then Argentina was the underdog where as Brazil were the favourites to lift the World Cup. His magnificent run by Maradona which led to the Caniggia making that goal is legendary. Prior to this match, he scores two crucial goals which enabled Argentina to rise up in the table rankings and move into the next rounds. He followed this performance with another spectacular run in the 1994 World Cup where he scored two important goals in Argentina’s match against Nigeria. The run came at a good time for Caniggia as he was suspended the year before for testing positive for cocaine, a mistake Caniggia often regrets to this day. Caniggia has been named the PFA Players Player of the Year twice in 2000 and 2001. In 2009 Caniggia was inducted into Dundee FC’s Hall of Fame, a prestigious international award reserved for soccer players. In total Caniggia capped 50 times for Argentina scoring goals 16 goals and took part in three key World Cups for his home side.